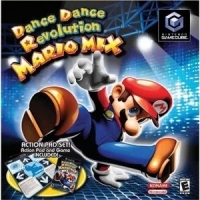 Box Text: "Shake it to over 25 dance-flavored songs, from remixes of classic Nintendo themes to familiar favorites. With five difficulty levels, dancers of all abilities can get into the groove! The path to Mario's dance party is simple: Left, Right, Up, Down, Right, Down..."
04-27-2014 jamusaeons Box Text "Shake it to over 25 dance-flavored songs, from remixes of classic Nintendo themes to familiar favorites. With five difficulty levels, dancers of all abilities can get into the groove! 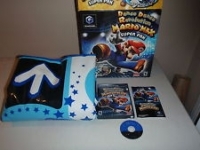 The path to Mario's dance party is simple: Left, Right, Up, Down, Right, Down..."
This is a list of VGCollect users who have Dance Dance Revolution: Mario Mix - Action Pad Set in their Collection. This is a list of VGCollect users who have Dance Dance Revolution: Mario Mix - Action Pad Set in their Sell List. This is a list of VGCollect users who have Dance Dance Revolution: Mario Mix - Action Pad Set in their Wish List.